Jermell Charlo says he’s not interested in moving up to 160 to start campaigning at middleweight. 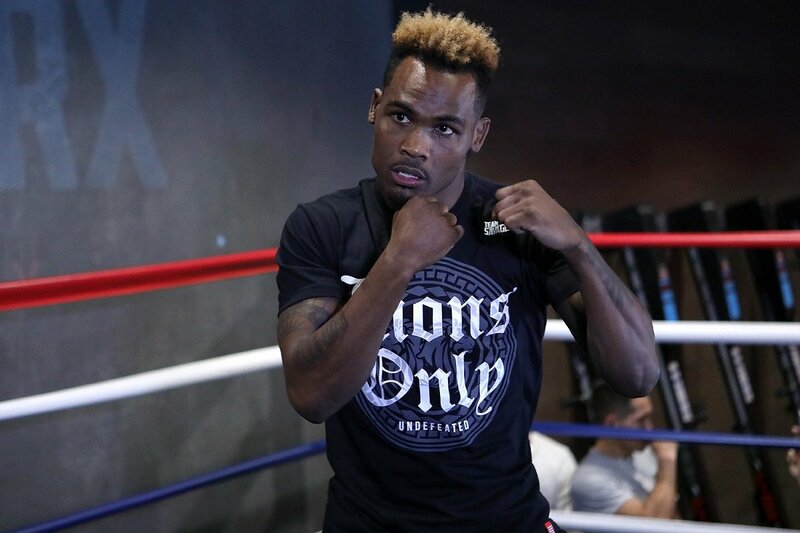 WBC junior middleweight champion Charlo (30-0, 15 KOs) says he’s quite happy fighting at 154, and he’s not going to be moving up to 160 and have to deal with being compared to his bigger, stronger brother Jermall Charlo (27-0, 21 KOs), who is currently the interim WBC middleweight champion. Jermell seems to know his limitations as a fighter. Moving up to middleweight would mean that Jermell would need to fight with the lions, and he might not be sturdy or brave enough to tackle them. Jermell, 28, will be defending his WBC 154lb tile next Saturday night against former junior middleweight champion Austin Trout (31-4, 17 KOs) on Showtime Boxing at the Staples Center in Los Angeles, California. Trout lost to Jermall Charlo by a 12 round unanimous decision two years ago in May 2016. The fight was close with Jermall winning by the scores 116-112, 115-113 and 116-112. However, Charlo had struggled to make weight and he looked drained in the second half of the fight. If Jermell is able to do a better job beating Trout next Saturday, it might not mean much in terms of him being the better of the Charlo brothers, because it’s a different situation than when Jermall fought Austin in 2016. Jermell easily makes the 154lb division because he has a smaller frame than Jermall. The Charlos are twins, but Jermall is the bigger and the stronger puncher of the two. He’s the much better suited of the Charlo brothers to be fighting at 160. If Jermell moves up in weight to middleweight, he might not be powerful or rugged enough to compete with the likes of Gennady Golovkin, Sergey Derevyanchenko, Saul Canelo Alvarez, Ryota Murata, Demetrius Andrade, Billy Joe Saunders and Daniel Jacobs. Jermell is obviously fighting at 154lb because he’s a champion in this weight class, and he can make good money beating the likes of Trout, Erickson Lubin and Charles Hatley. If Jermell moves up to middleweight, it’s going to be a different story. Jermell will be one of many contenders in the 160lb division, and he might have a long, long wait for him to get a chance of winning a world title. Even if Jermell does fight for a world title, he’s not likely to have success against middleweight champion Gennady Golovkin, who is too skilled, experienced too powerful for Jermell. By staying at 154, Jermell only needs to worry about IBF/WBA champion Jarrett Hurd and WBO champion Jaime Munguia right now. Those are big punchers, and they may both beat Jermell, but he certainly stands a better chance against them than he would in moving up to middleweight to compete against Golovkin. Hurd will likely be the favorite when he faces Jermell this year or in 2019. Munguia vs. Charlo might be a toss-up fight, depending on how the 21-year-old Mexican looks in making his first defense against WBO mandatory challenger Liam Smith in July.